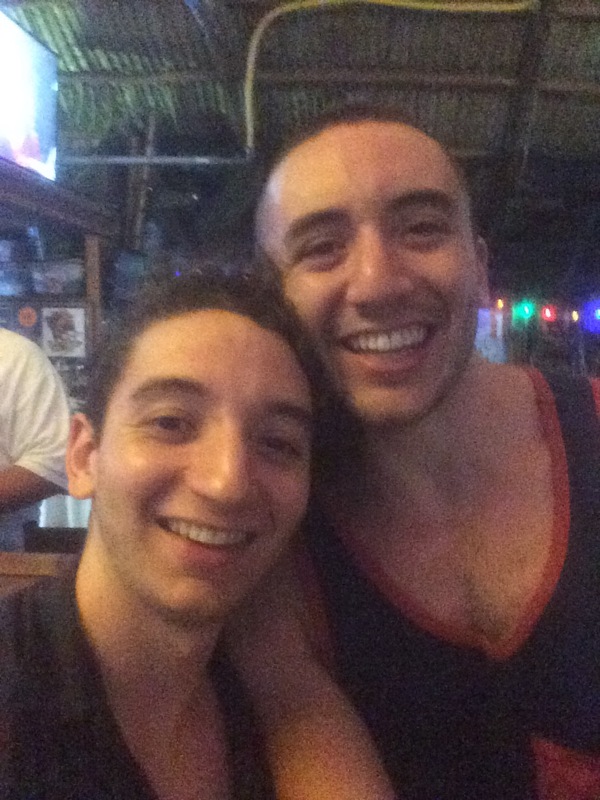 I have two sons: Andrew is 24, and Rob is 21. Andrew graduated from Barrington High School in 2010, and happily accepted High Point University’s offer of admission and a Presidential Scholarship. What he didn’t accept, at least at first, was our insistence that he attend HPU’s Summer Experience, a sort-of boot camp for incoming freshmen. Eventually he acquiesced and accepted his fate. He would spend one month during the summer taking two classes, adjusting to dorm life, and making friends. In hindsight, he thanked us for insisting that he do this, but at the time, he was resigned rather than excited. Andrew and I arrived in High Point, NC and moved him into his dorm, met his summer roommate, and took a trip to Target to buy the essentials we hadn’t packed. When all that was done, with a bit of false cheer and bravado, he suddenly turned, hugged me, and said “oh, mama – I don’t know what to do next.” This from my unbelievably cheerful, effervescent, friendly son, who has never met a stranger, only a buddy he doesn’t know yet. When Andrew was under one we said he would someday be either a politician or a game show host – he was that outgoing. The honorary mayor of Barrington at five. But faced with being left in a strange place, knowing no one, he had a moment of panic. I said, “look – the guys across the hall have a big screen TV with the World Cup Soccer on, and their door is open. That’s an invitation. You go, introduce yourself, and watch a little bit. I’ll wait here.” He said, “no, you have to go. I’ll be okay.” And we both took a deep breath, and we went out, he to the boys across the hall, me to my car. When I got to my car, I realized I had left my car keys in Andrew’s room. I didn’t want to cramp his inchoate style, so I went to the Student Center across the parking lot, bought a coffee, sat in the sun while I drank it, and THEN went back up to Andrew’s room. When he saw me in the hall, he broke from his new little posse and said, “what are you DOING here? GO!! !” So I went. I got my keys, got in the car, and drove the 269 miles to my hotel for the night. And I wept, not so much that I couldn’t safely drive, but for at least 100 of those miles. I wept for the young man who made an effort to not need me anymore, for the anxiety we both felt, and for the end of my hands-on parenting of this remarkable man. Three years later, and it was time to send Rob off to college. Rob graduated from BHS in 2013. He applied to one college, Tulane University, was accepted, and won a whopping full tuition scholarship. In August 2013, Chuck and I drove one car, while Rob and Andrew drove the other, to High Point, to move Andrew back into his campus apartment. He shared this for three of his four years with two of his original freshmen year roommates, one of whom he bonded with during Summer Experience. From there, Chuck, Rob, and I continued down I-85 toward Atlanta and on to New Orleans, to move Rob into HIS Summer Experience, called NOLA week, at Tulane. We were told that Rob could have one suitcase and one duffle bag, and nothing more, for that first week, so we dropped him at Tulane and drove away, but stayed in New Orleans for the week with the rest of his belongings. Chuck saw clients and worked while I wandered the city, visiting museums and restaurants and galleries, but had almost no contact with Rob. On Move-In Day, we returned to Tulane, unpacked the rest of Rob’s belongings from the Pilot, and settled him in to his room. Unlike Andrew, Rob had not met his college besties during the pre-orientation week, but he met them on that move-in day. He shooed us away, and we headed for Rhode Island. In the car, somewhere in Georgia, Fleetwood Mac’s “Landslide” came on the radio. “I’ve been afraid of changing, ’cause I’ve built my life around you.” I started to sob, to grieve, to shriek. I had built my life around my children. I had no aspirations beyond growing good men. Now that they were launched, who was I? Who am I now, if no longer full time mama? I was bereft, panicked, mourning. I cried off and on for about a week. And then life went on. Luna the shepherd-poodle and I spent a lot of time together, and I missed the companionship and sounds of my sons and their friends in my house. I missed Rob’s piano, the soundtrack of my daily life. I didn’t miss the endless dirty dishes and boxer shorts left laying about. I missed the laughs. It’s been another three years since we became empty-nesters, and the first in seven years that we haven’t had a road trip south to set up someone’s dorm or apartment and make someone’s bed. This adds another layer to the syndrome – what we lost in emptying our nest we mildly replaced with summer move-in rituals, now gone. Our men are where they are going, at least for now. This weekend Andrew was home to participate in a friend’s wedding. I took him to the airport Sunday afternoon, and I cried on the way home. Every time my boys leave I feel a shadow of that empty-nest grief. I love them, and I applaud their independence – after all, wasn’t that the goal of our parenting, to raise men who could leave and thrive without us? I am more at peace than I was with my new role – although I’m not sure what that is. I have no idea what comes next, and that’s usually okay. But when they leave, I cry a little bit. Use about four slices of cheese per sandwich. Spread soft butter on one side of the bread, then place on a cold griddle. Turn heat to medium, and leave it alone until toasty and brown, about 7 minutes. Spread butter on the top of the sandwich, then flip. Cook another 7 minutes or so. Remove to a plate, cut on the diagonal, and eat. Shake all ingredients over ice, and strain into a martini glass. 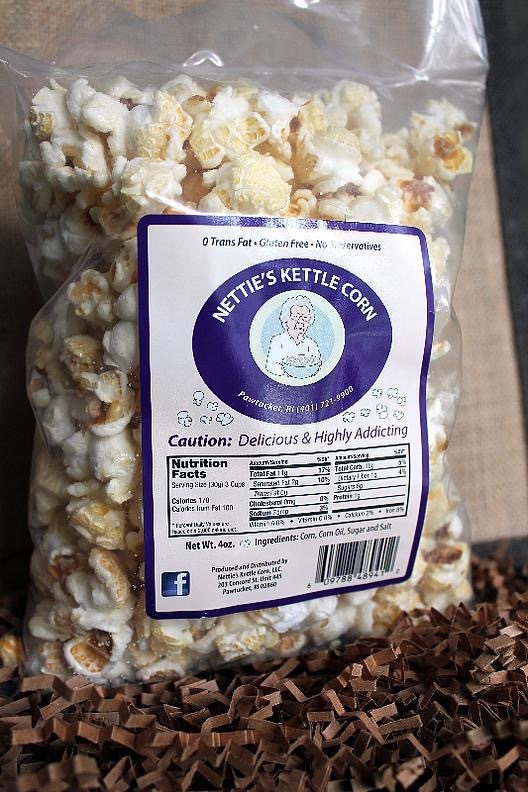 Kettle Corn or Chicago Mix? I love popcorn. I once dated an English man who said that the three things he didn’t understand about Americans were popcorn, peanut butter, and Billy Joel. Regardless, I think popcorn is fabulous. I love my whirlypop corn popper, for fresh hot popcorn with a slight coconut taste from the oil, and sufficient salt. Mmm. Nothing like it. Thanks, Kathleen, this was an awesome gift. I even like the popcorn at the movie theater, with the “liquid gold” fake butter oil added. Bring extra napkins and a bottle of water. That said, this post is about prepackaged popcorn. There are a few noteworthy bags out there: SmartFood, with its cheddary coating. Popcorn, Indiana’s kettlecorn. Wise Butter Popcorn, for the old-school snack food taste. 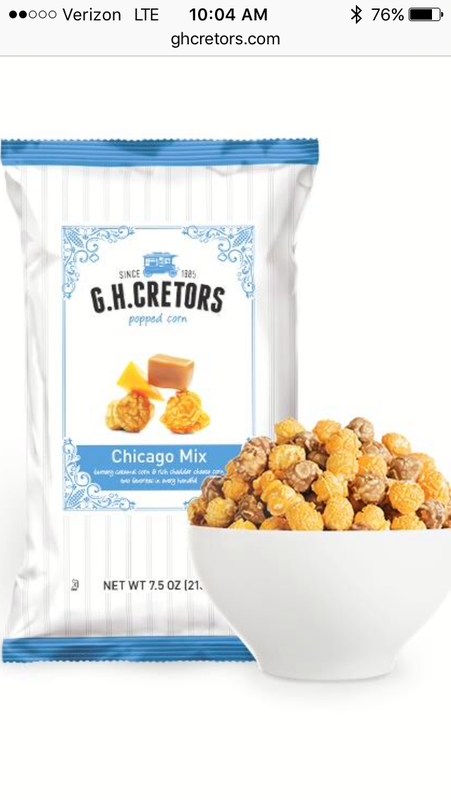 But the popcorn bags which vie for my love are Nettie’s Kettle Corn and G.H Cretor’s Chicago Mix. There will be no settling this question. No competition. I’ll keep enjoying them both. I might even buy some for you, but if I do, be prepared to share it with me. Author ellenisokayPosted on September 3, 2016 September 3, 2016 Leave a comment on Kettle Corn or Chicago Mix? 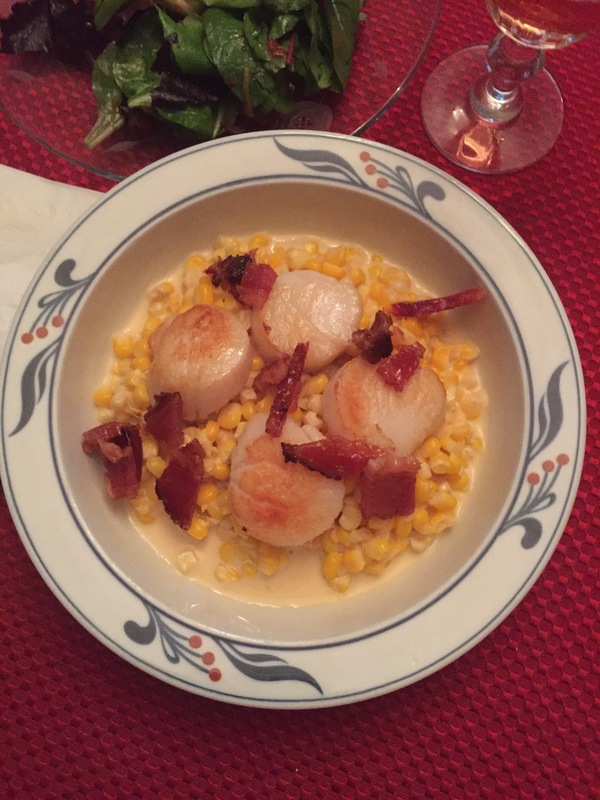 Seared Scallops with Creamed Corn and Candied Bacon. This is a dish that I had two years ago at Trafford’s, a restaurant on the water in Warren, RI. It was on their appetizer menu, which seemed odd, since it is quite filling. 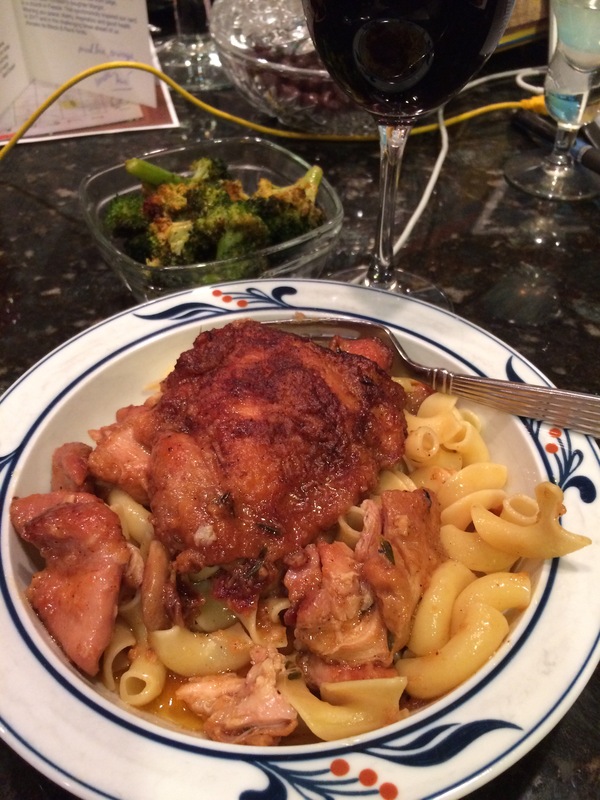 It was pretty good, and I thought as I ate it that I could recreate it, even improve on it. I made it and posted a picture of it on Facebook, and got so much positive feedback – offers of marriage, places to live, etc., if I would just cook it for the offerers. Mom asked if I would make it for her the next time she visited, to which I readily agreed and quickly forgot. Luckily, so did she! Two years later, Mom is visiting again, and the photo popped up in my Facebook feed. So I finally made the dish for her. It was sublime. Oxtail Ragú. I think oxtail was once a cheap protein source, but now it is pricey for a low-meat-to-bone-ratio food. This ragú is a fairly time-consuming dish, but done over a weekend, it is well worth the intermittent time. When I’m feeling especially crafty, I make gnocchi from scratch to serve under the ragu. Oh, my – my mouth is watering just thinking about it. I got the original recipe from the brilliant Mario Batali’s website, and I added a few steps and changed some details, as I usually do. Mushroom Lasagne. Chuck & I host Thanksgiving for the extended Oltman-Bertinuson-Porcher-Smith family every year, except 2015, when we were in Cuba. About 10 years ago I discovered this recipe on Epicurious: Wild Mushroom Lasagne, and I made it for the vegetarians. It was so flavorful, decadent, wonderful, that it became a staple of our feast table, and even the turkey-eaters expect it now. THE Chocolate Cake. 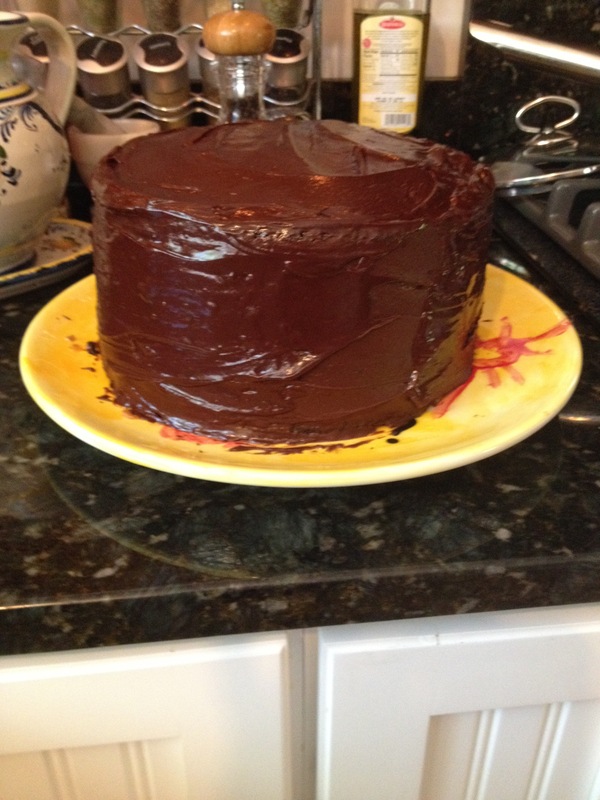 My friend Martha gave me this recipe a few years ago, and it is, quite simply, the best chocolate cake I’ve ever had. It is beautifully hard to screw up. 40 Clove Chicken. Chicken with 40 Cloves of Garlic is a classic dish, like the French Chicken in a Pot. The smell while it cooks is unbelievable! The garlic melts and mellows through the slow braising, and the finished product is definitely greater than the sum of its parts. The problem with the published recipes I’ve read is that the chicken skin gets soggy and unappealing, and the garlic is messy and problematic to squeeze out of its skin and spread on bread. My version is simpler, richer, and absolutely amazing. Recipe is in my January 20, 2017 post. Too Hot to Cook Gumbo? As I’ve said before, Sunday is my cooking day. I sleep a little bit later than on a workday (6:30 instead of 5:30), brew a pot of coffee while I think about what I will be making during the day, and head off to the supermarket. I’m glad that the Shaw’s employees get to sleep a little later, too, since the store opens at 7 instead of the weekday 6. I’m usually one of the first customers there, which means no line at the deli, but also no fish yet on display. It’s a worthwhile trade-off, because I loathe the deli line, and I’m happy to circle back around for my seafood. Chuck should be home for most of the week, so I buy sliced turkey for his lunches, and plan a few dinners. I haven’t made gumbo in a while, and there is a package of fresh okra in the produce section, so I grab that and pick up some of the other ingredients I will need. When I get home, I think it’s just too hot to stand over the stove making a roux, but dammit, if the New Orleans cooks can do it, so can I. More on this later. What will we want to eat this week, when it’s too hot and humid to do much cooking? At the market I get chicken breast for Lemon Chicken. Mahi-Mahi, which is excellent to grill (note to self: fill the tanks for the grill). Lentils and parsley for Lentil Salad. Chopped fresh broccoli. Watermelon. The world’s largest beet. I think about making Seared Scallops with Creamed Corn and Candied Bacon, but will get the corn and scallops the day I make that. I grab a few cans of baked beans and a package of hot dogs, in case I don’t feel like cooking one night (VERY good chance of that). When I get home, it is about 8:15, and not yet too hot in the house. I put away the groceries, feed Luna, and cook the lentils and the beet. Not together. The Lentil Salad is easy and delicious: 1 cup lentils cooked until tender but not falling apart, half a red onion diced fine, three cloves of garlic minced, a whole bunch of flat parsley chopped, salt, pepper, olive oil, champagne vinegar. I usually roast beets, but I think it’s too hot to turn on the oven, so I cook this one on the stove in a little water, then peel and cube it, ready to add to salads. I also prep egg salad, then put waaaay too much mayonnaise in it, so I add two more eggs and another stalk of celery – now we have enough egg salad to feed a large family. Next: Cheater Broccoli Slaw: one bag of pre-chopped broccoli slaw mixed with 1/4 cup Makato Ginger Dressing. That should hold us. My refrigerator is full, so I move a few things to the basement fridge: eggplants, cucumber, watermelon. This is risky, since I tend to forget things once they land down there. 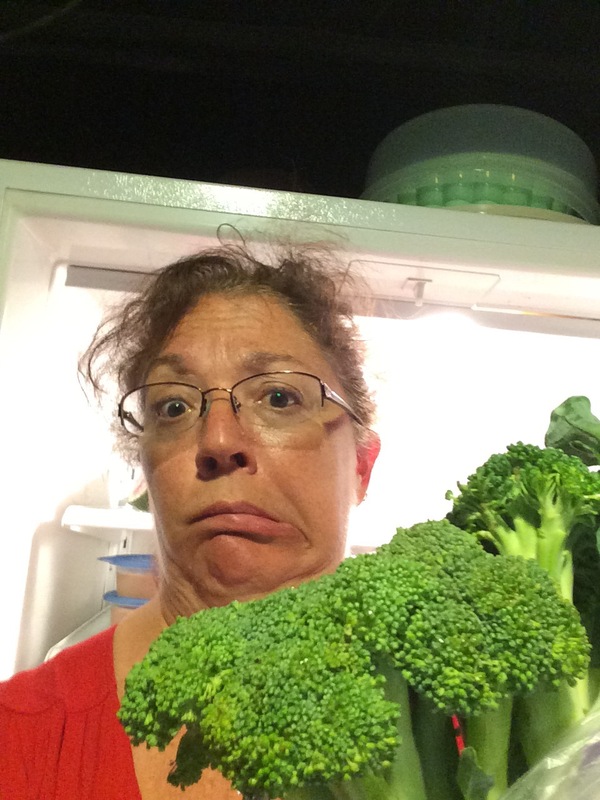 Right now I notice last week’s whole broccoli, with which I intended to make Southern Broccoli Salad. The tips of the flowers are looking a little weary and yellowish – can I still make that salad? It might be better roasted instead. Now it’s 10:30 and starting to heat up. I wash the dishes I’ve used, start the dishwasher, turn on the A.C., and sit down to think about gumbo. I made my first gumbo when I was about 14. I had heard of it but never tasted it, and when I found a recipe in a magazine I decided to try it. It was an all-day affair, and by the time it was done I was sick of the very smell. It tasted weird. I was disappointed – all that work, and I didn’t even like it? I’m not sure what I was expecting, but THAT wasn’t it. Fast forward 30 years or so, and I had gumbo at Commander’s Palace. It was a revelation. Gumbo is a perfect metaphor for New Orleans, the imperfect-perfect melting pot. Dark, rich, complex, heady broth, with silky vegetables and flavorful proteins, and a scoop of rice to soak up all those flavors. It is historic, and slow, and spicy. Hot and satisfying. The taste of it lingers on my tongue and in my memory. One of the best gumbos I’ve had in recent memory was at a fish market & restaurant in Daphne, Alabama, across the bay from Mobile. We were driving from Pensacola Beach, Fl to New Orleans, and Chuck found this place on Yelp, called Market by the Bay. When we walked in, the apparent owner came up to us and said, “Y’all are new here. Taste the gumbo.” I assured him that we would be ordering it regardless, based on Yelp reviews, but he said no, we should taste it first. He called to one of the servers to dish us up a few samples. The smell was hypnotic, and the taste was sublime. My mouth is watering now thinking of it. It was amazing. 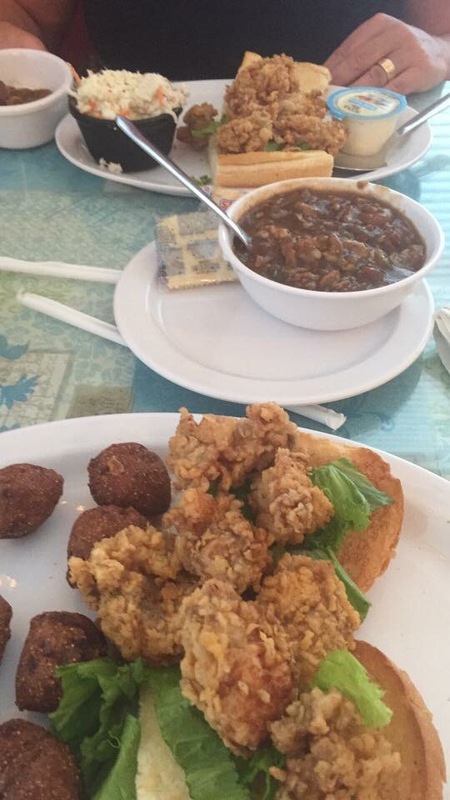 We ordered a bowl and an oyster po-boy to split. There were even hushpuppies on the plate, one of my favorite starches. I made moany little happy noises the whole time I ate. Now that AC has cooled the room and the ice water I’m drinking has cooled my innards, I gather my ingredients. I have chicken, home-made chicken stock, fresh okra, creole seasoning, celery, onion, peppers – Crap! I forgot to buy sausage! Instead of andouille, I prefer Portuguese chorizo, made locally in Fall River. So I venture back out into the heat and humidity to pick it up. My gumbo recipe is based on this: http://neworleanscuisine.blogspot.com/2005/03/chicken-andouille-gumbo-recipe.html The blog is wonderful. I’m sorry to say I don’t know the blogger’s name or gender, but I think of him as a him. 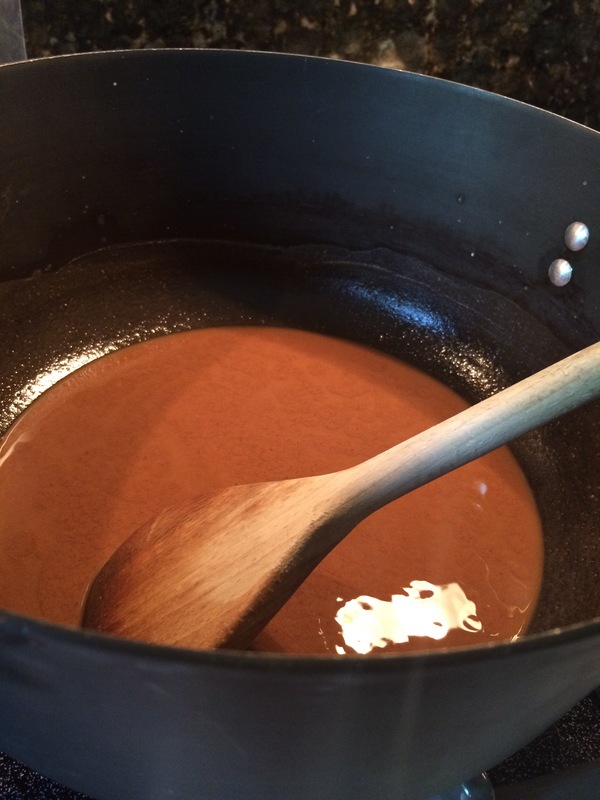 Check out “First You Start With a Roux…” before attempting the gumbo. http://neworleanscuisine.blogspot.com/2005/02/first-you-start-with-roux.html I love that he instructs us to open a beer, and sip it slowly while making the roux – don’t rush either the beer or the roux. One of my goals in making gumbo is to have it as dark as I can make it. I’ve had gumbo in New Orleans that is darker than mine, and I can’t quite figure out how to get it there. 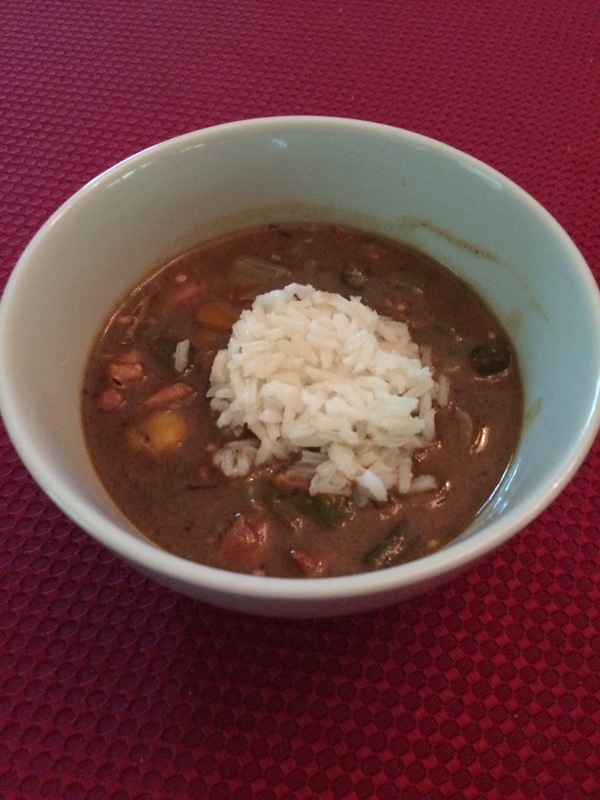 Now that I make gumbo regularly, I compare every bowl of it eaten in the Gulf South to my own. That gumbo in Alabama was the color of DARK chocolate. The blogger says to cook the roux for about half an hour? I go at least 45 minutes. It’s beautiful, it’s flavorful and rich, but it isn’t chocolate brown. Damn it. I haven’t mastered that dark brown, but mine is pretty good. It’s even pretty great. Having all the ingredients chopped and measured before beginning is a good idea. I don’t always do it, but I always regret when I don’t. 1 cup sliced okra, either fresh or frozen. 1 whole Portuguese hot chorizo, about half a pound, cut into bite-sized pieces. You can use Andouille if you prefer. Open the beer and take a sip. Place the butter and oil in a large heavy pot over medium heat. Sip the beer. When the butter melts, sprinkle the flour over the top. Have another sip of beer. Whisk the flour and fats together until incorporated, then shake off the whisk and switch to a wooden spoon. Cook over medium heat for at least half an hour, probably more like 45 minutes, until the color of milk chocolate. Remember to sip your beer slowly, and stir your roux slowly. At all costs, avoid getting splashed with the roux – it is what Chef Paul Prudhomme called Cajun Napalm. It is important to stir regularly, if not continuously, but slowly. If you stir too vigorously, it will be a long, long time cooking as the fast stir cools it down. If you neglect it, the flour will burn and your roux will be ruined. When your roux is at least as dark as this, add the Holy Trinity, the creole seasoning, the garlic, and the thyme. Stir to coat completely, then cook until the vegetables have begun to soften. Add the okra and the chicken, stir to coat completely, and cook until the chicken is opaque. Add the remaining ingredients. Stir, bring to a boil, and reduce to a simmer. Simmer for at least a couple hours, stirring occasionally. If the gumbo appears too thick, you can add more chicken stock. I never have this problem – I always add too much and then swear. Serve in a bowl or soup plate with a scoop of hot rice – I prefer white, but brown works too. If you decide to try this recipe, and you get your roux darker than mine, please let me know how you did it. 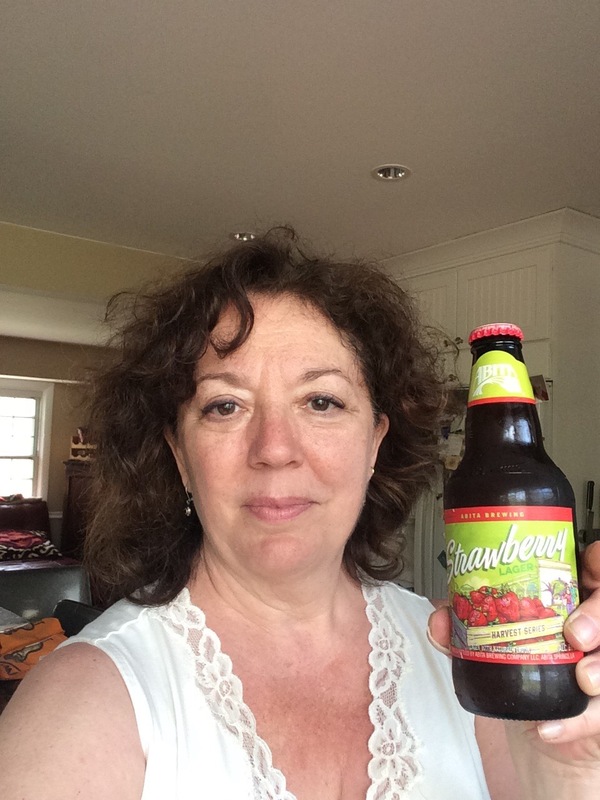 Author ellenisokayPosted on August 14, 2016 February 4, 2017 5 Comments on Too Hot to Cook Gumbo? Beautifully written elegy to frying chicken and Austin Leslie. Not necessarily in that order. roiling as the seasoned flour clouds it, I think about both Austin and how I got here, frying chicken in a kitchen in New Orleans, LA. Here are three cocktails that I make and enjoy in the summer – light and fresh, using seasonal ingredients, without being overly sweet or cloying. 1/2 cup watermelon cubes – doesn’t matter if it’s seedless or not, since you will be straining the drink. 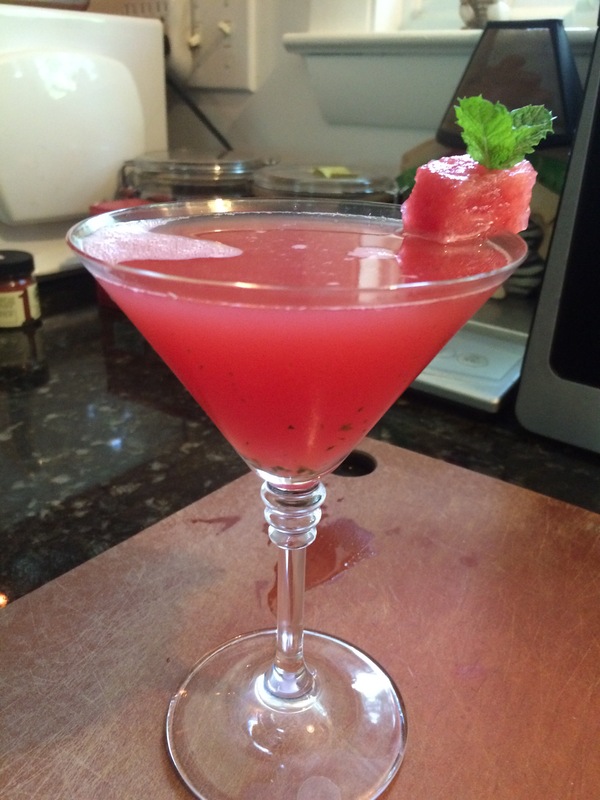 Reserve one cube of watermelon, and muddle the rest in a glass with the mint leaves. Add the lime & syrup, fill with ice, then add the vodka. Shake well and strain into a martini glass. Garnish with the mint and watermelon cube. NB: A similar drink can be made with fresh dark cherries. Muddle about five of them, without their stems. Proceed as above, omitting the watermelon. I’ve been seeing these on menus a lot lately, although, oddly enough, not in Vermont. The bartender at Verde in the Stratton Village made me one, following my directions, but using elderflower liqueur (St. Germain) instead of simple syrup. Fabulous! 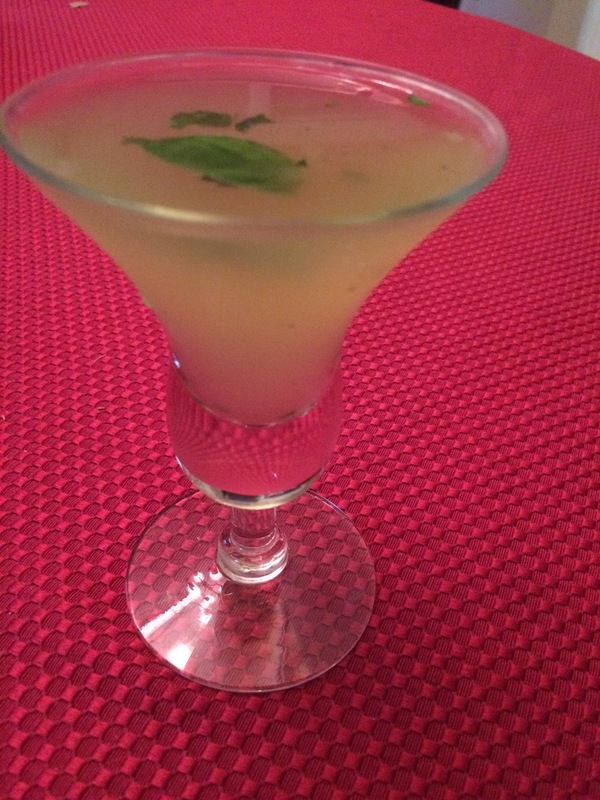 Muddle basil and lime wedge in a glass. Add simple syrup, and fill with ice. Add gin, then shake well. Strain into a martini glass. Float a small whole basil leaf as garnish. 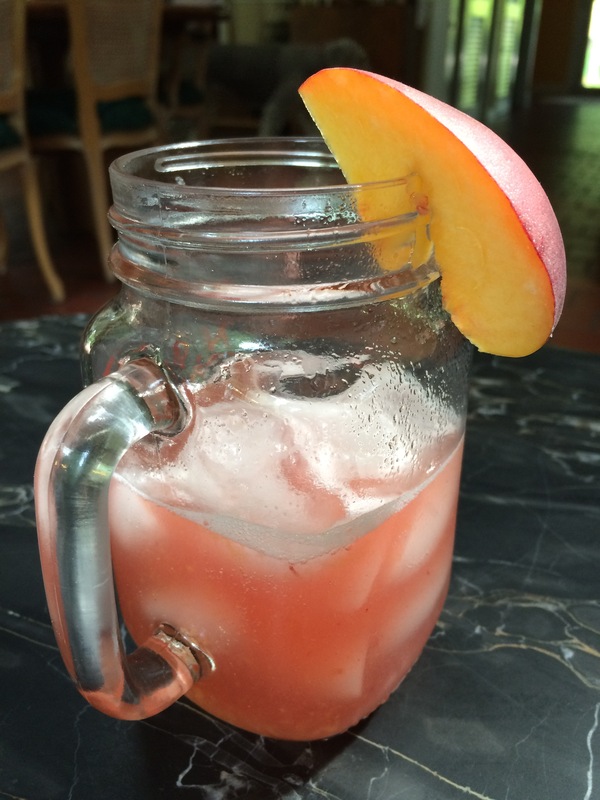 In the glass of a Boston shaker, put one quarter of a ripe peach. Add 1 tablespoon lime juice and 1 teaspoon peach schnapps, and muddle. Half-fill with ice, then add 2 ounces vodka or silver tequila and 1.5 ounces cranberry juice. Shake well, then strain into a glass with ice. Garnish with a slice of peach. Thanks to Nina & Tonchy for the spiffy Mason jar mugs. This week we spent a few days in and around Manchester, Vermont. Chuck’s sister and brother-in-law, Marcia & Ron, have a lovely home at nearby Stratton Mountain, in Winhall. Chuck’s brother and sister-in-law, Howard & Donna, were visiting from Phoenix, where they now live. This was the first time in three or four years that the six of us were together, just us, without our kids. I’m a little envious of this for my own brother & sister and their spouses – I can’t think of the last time we were together, just the six of us. I’m going to have to get that organized. Vermont in summer is beautiful. There are flowers blooming everywhere, including roses and daylilies that faded away in Rhode Island a few weeks ago. It is filled with trees and soft green mountains and farmer’s markets and general stores and yoga studios. There are also designer outlet malls and golf courses, if that’s your thing – we have enjoyed both (although in truth, since we’re lousy golfers, we’ve only enjoyed lunch at the golf course). There are rivers for kayaking, trails for hiking, and roads for biking or, if you’re lazy and indulgent like we were, scenic byways for driving. Little cemeteries sleep in each town. We saw pokey little markets and antique stores along with perfectly restored houses and tumbledown properties waiting to be fixed up. B&B’s. A sheep dairy. Cheese tastings. If it weren’t so blasted cold there in the winter, we might consider it as a retirement locale. 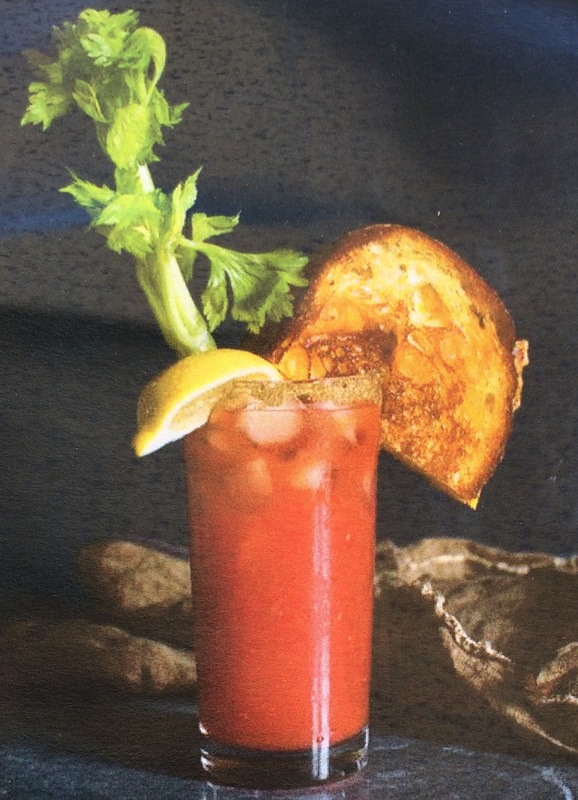 At lunch on Thursday we discovered a new-to-us Bloody Mary twist: garnished, in addition to the olives and celery, with a toasty grilled cheese sandwich. Sounds bizarre! It was delicious, like grown-up grilled cheese dunked in tomato soup, only better, because I don’t much like tomato soup. Imagine a chewy-crusty sourdough or Italian country bread, buttered and grilled with a beautiful Vermont cheese, like the Grafton Village sage cheddar. Mmm. Thursday we also hit the Manchester Farmer’s Market, and I tasted and bought some Mama Ghanoush – like Baba but made with zucchini instead of eggplant. Crazy good! We also bought from them a quinoa tabbouli made with tons of mint. 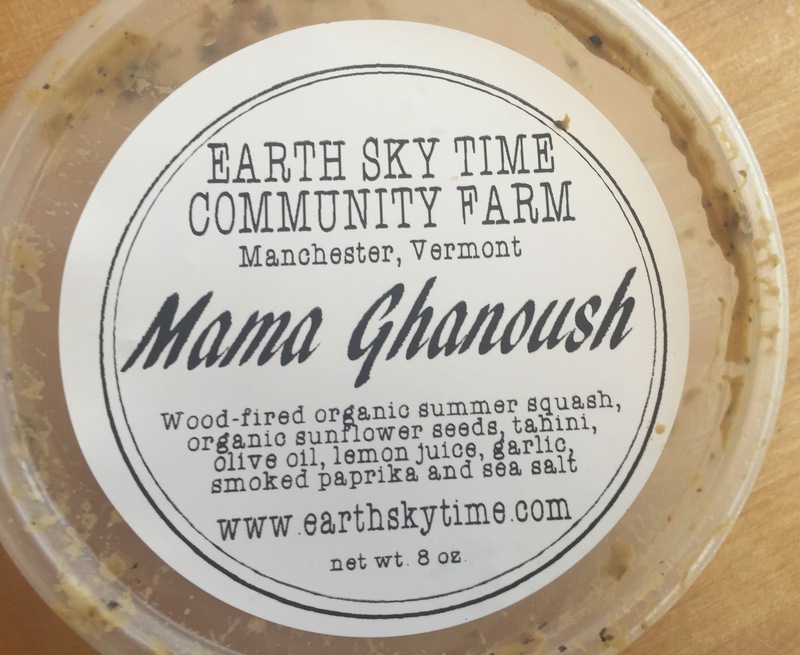 This morning I tried to recreate the Mama Ghanoush – it’s tasty but not as good as what I bought from Earth Sky Time Community Farm’s table. Next time I will quarter the zucchini and scrape out the seeds before roasting – made with the whole squash, it was a bit wet. At the Farmer’s Market we visited a maple table, in search of Maple Cream. If you haven’t ever had it, you must. It is sublime on toast, waffles, or muffins. I tried to make it myself once, but it was not a success. 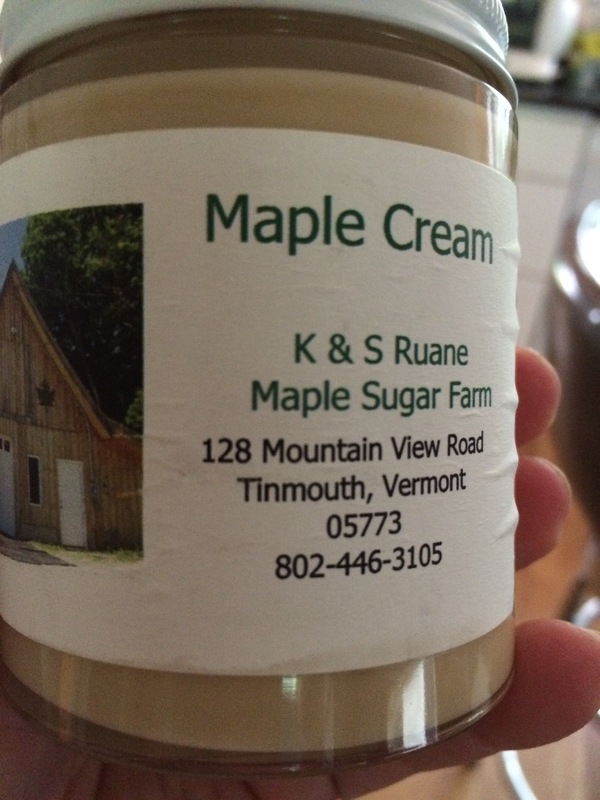 It is almost impossible to find in a store outside of Vermont, New Hampshire, and Massachusetts, but it can be ordered online. This table was from K & S Ruane Maple Sugar Farm in Tinmouth. Howard asked if they knew his & Donna’s niece and her family, who also live in Tinmouth – it turns out that K & S not only know them, they gave their dog to H & D’s great-niece. Vermont is a small place. Coat the zucchini with olive oil, then place on medium heat on the grill. Turn every few minutes until somewhat soft and charred on the outside. Remove from heat, then cut off the ends. Let cool until you can handle it. Whiz up the garlic in the food processor, then add the sunflower seeds and two tablespoons olive oil and process until finely pureed – like a paste. Or just use the prepared tahini. Cut the zucchini into chunks and add them to the processor with the rest of the ingredients. Puree until smooth and fluffy. Taste and adjust seasonings.